Nathan Riddett: Natural Law the to end human suffering. 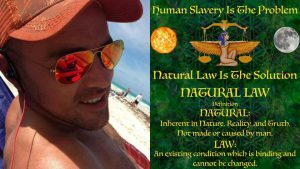 Delving into Natural Law as the only real solution to end human slavery and planetary suffering. Also looking at; What the occult really is. Morality. Religion. Mind Control. Order-Following. Holistic Health. Reality. Entheogens and much more. An information packed, solution based talk.